How adventurous are your taste buds? I’m not talking like Bugs on a stick or a scorpion tartar. We’re talking flavor combos that make you go “what just happened?” That my friend is what has defined my culinary journey and I want that for my family and friends. So I know we are just getting acquainted, but today, right this minute I ask that we get a little vulnerable with our taste buds and try something totally out of the box. In fact, let’s take it one step further and target this recipe for the little babes in our life. Do you trust me? Today’s trust exercise begins with quinoa! Quinoa is a beautiful grain packed with protein. Before we prepare the quinoa always, always, ALWAYS rinse and drain well. This removes the bitterness lingering on the grain. Combine the quinoa and a cup of water in a small saucepan. We’re going to bring to a boil then reduce to simmer, covered for about 20 minutes. When the water has been absorbed in the grain it will become translucent and little grain strands will extend from the grain like a hair follicle. 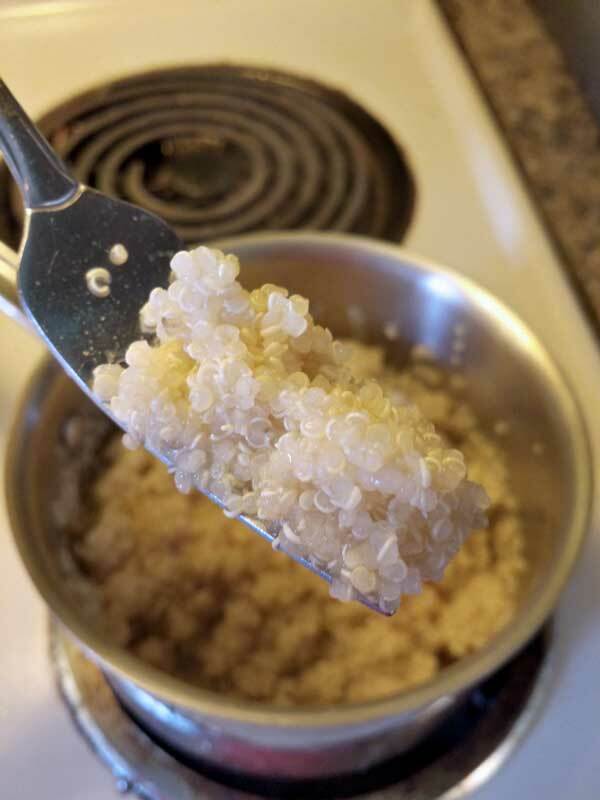 Don’t worry, it is edible and tastes nothing like a hair follicle…not that I would know what that tastes like…we’re getting off track so let’s just fluff that quinoa so it looks like this. In a small sauce pan over medium heat warm your black beans. Once the black beans are warmed through, take a fork and mash most or ALL of the black beans to a refried beans texture. Now it’s time to take the leap of faith and combine all these ingredients together. Are you ready? Be Brave! First introduce the black beans to the quinoa. Stir them together til they are well combined. 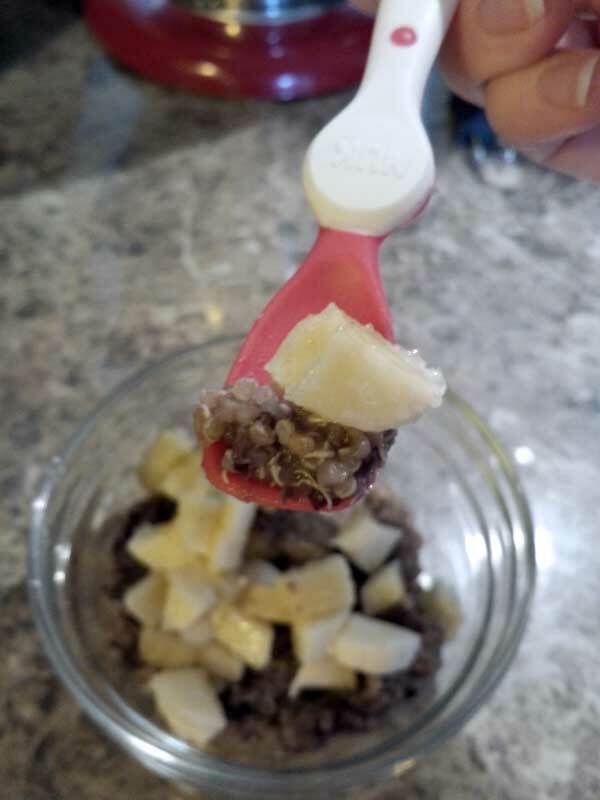 Time for banana to join the party-slice the banana into bit size pieces your baby can handle and sprinkle on top of one serving of the black bean, quinoa mixture. 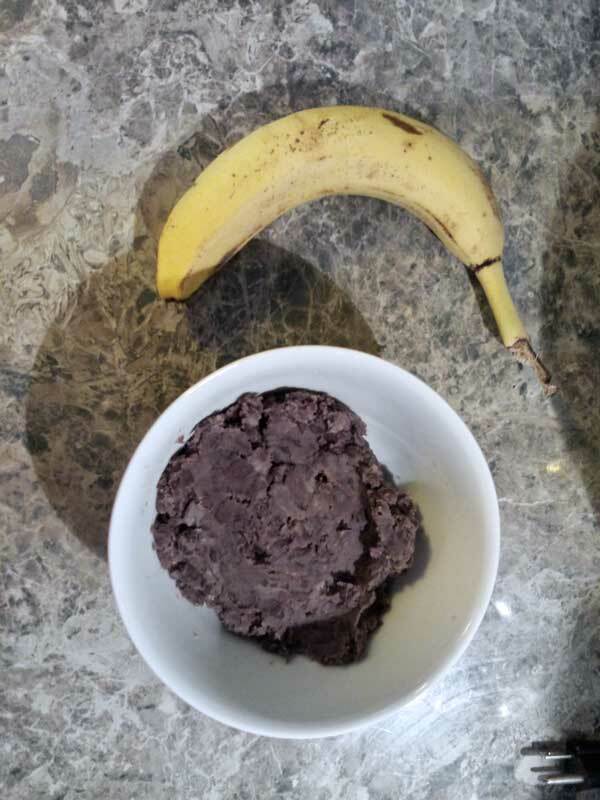 This will take about half of one banana. Save the second half for yourself. You deserve it mama because you work hard! 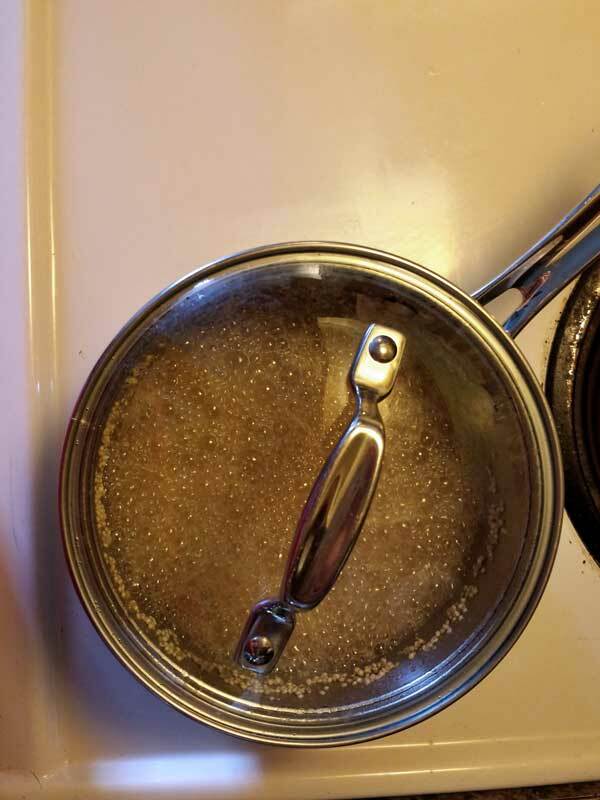 Rinse the quinoa under cold running water and drain well. This helps remove any bitterness left in the quinoa. In a small sauce pan combine the quinoa with 1 cup of water and bring to a boil over high heat. 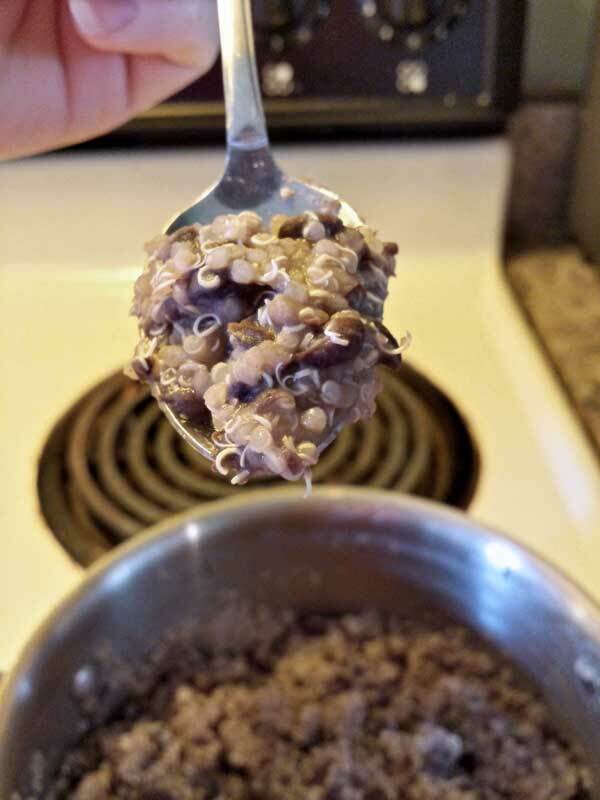 Reduce to low heat, cover and simmer gently until the liquid is absorbed and the grains are soft and translucent, about 20 minutes. Let stand covered for 10 minutes. Meanwhile, heat the black beans in a small sauce pan over medium heat and mash some or all with a fork to consistency your baby is able to handle. Fluff the quinoa with a fork and stir in the mashed beans. 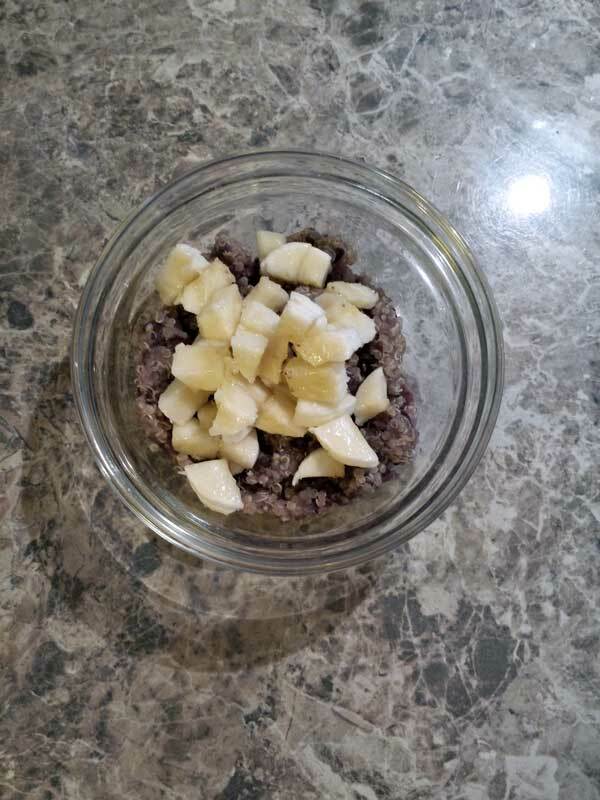 Spoon the quinoa mixture onto a plate and top with the chopped bananas. Serve lukewarm or at room temperature. **Refrigerate leftovers in an air-tight container for up to 3 days OR freeze in individual portions for up to 3 months in your freezer. Phew! How’d you do? Did I totally scare you? I hope not because I guarantee this dish will be a crowd pleaser with your child! My little guy gobbled it up entirely and still wanted more. I don’t know if you feel this way or not but I am jealous of my son at this stage in life. 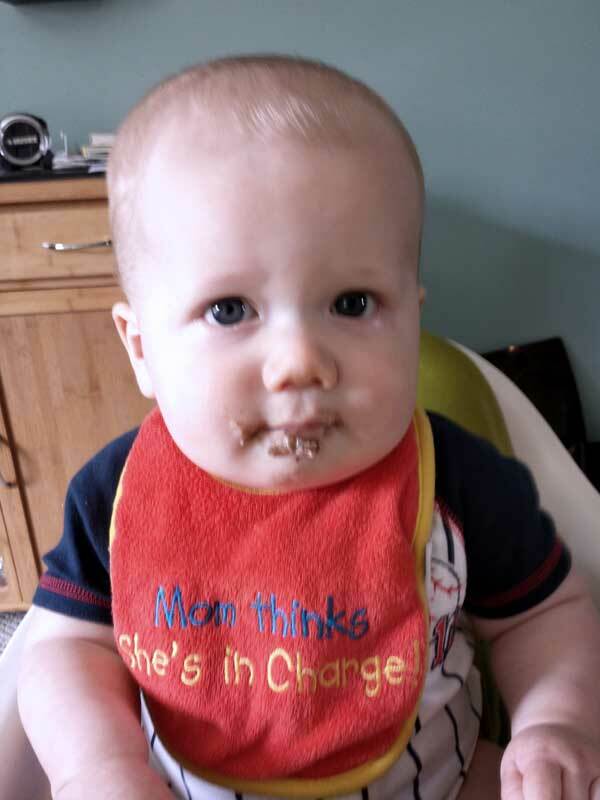 He is experiencing flavors for the first time and each bite seems to be more exciting than the last. I get a thrill as he accepts the food carefully prepared for him trusting that it is going to be delicious. Now, I’m not going to say we haven’t had any missteps along the way, but it’s that bond of trust we have that keeps him coming back to the table. So let’s throw off our inhibitions and open our minds to new flavors and combos. There is a whole new world out there for your taste buds that I’m willing to explore with you!